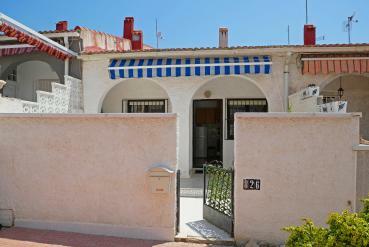 Looking for bungalows for sale in La Siesta, Alicante? In Casas Espania you will find them. We have over 50 years of combined experience in the property market on the Costa Blanca experience, and we pride ourselves to always find the best properties at the best prices. What is special about La Siesta? In this small town of Alicante we can find a quiet community, away from the heavy traffic of cars and people. We enjoy an excellent weather for most of the year, as usual in the Costa Blanca, and of course, some of the best beaches in Europe are just a few minutes away. We can think of few better ways to spend the holiday relaxing in your bungalow sleeps peacefully while napping in a recliner, light dinner of the stars with your loved ones, or enjoy a refreshing swim at the beach. At the same time, if you like the nature and getting plenty of exercise outdoors, in your new home in La Siesta you will be satisfied. You will discover a wealth of natural landscapes of great beauty, and will have access to both the mountains and the beach, as we said above. If you have to buy a property in La Siesta, or anywhere else on the Costa Blanca, remember to keep in mind three basic factors: the location, the quality / price and the extras. Find a bungalow for sale in La Siesta that fits your needs is within reach, and a better price than you think. Where? In Casas Espania, of course. We guarantee the best value in our homes, and even a personalized service to upgrade your new home exactly as you want.